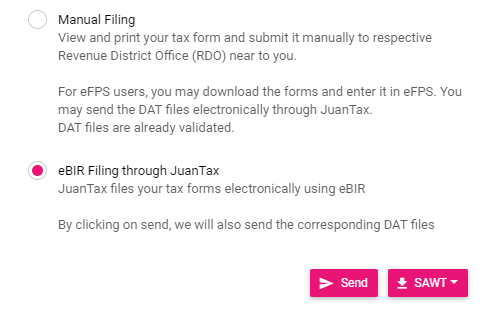 JuanTax makes it convenient for you to file tax returns. Once you’ve finished generating the report, you can start filing your taxes by clicking the Options button on the top right of your report. Go to Step 1, which is the Filing Type that you will use on your tax return. 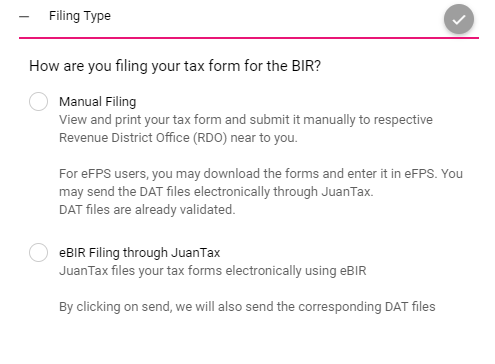 You have two options on how you would file your return, it's through (A) Manual Filingor (B) eBIR Filing through JuanTax. 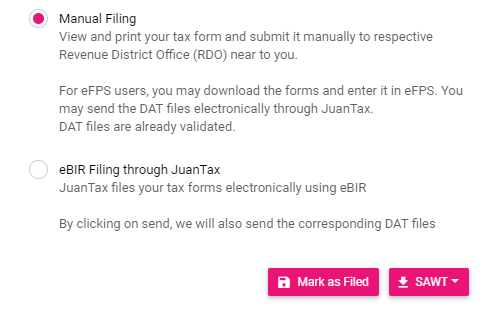 In this process, you can view and print a copy of your tax form, and be able to submit it to your designated Revenue District Office. There are two buttons present namely:(1) Mark as Filed and (2) SAWT. 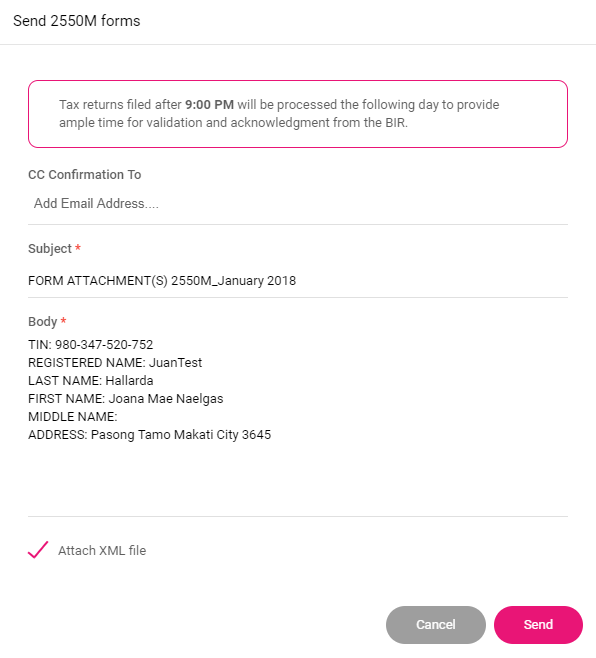 Click the Mark as Filed button for you to acknowledge that filing type as the method in filing the report. After that, click the OK, FILE THIS REPORT to continue. 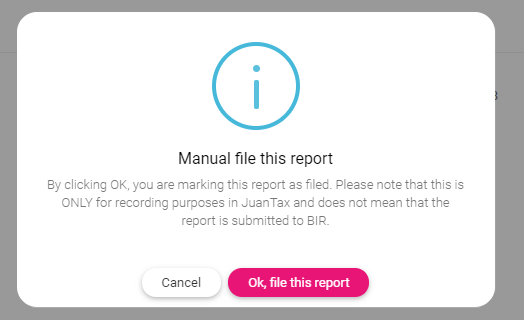 A notification will appear, stating that you had successfully filed your report in JuanTax. The SAWT button lets you download a DAT or Excel file format of your SAWT.